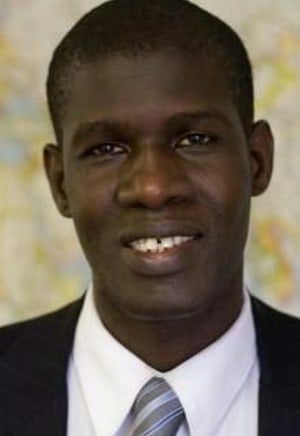 Amadou Hamady joined the International Institute of New England in October 2010. Amadou is a leader in the New Hampshire refugee community. Now the Site Director of IINE-Manchester, Amadou was previously the Refugee School Impact Program Coordinator and Coordinator of the Humanities After-School Program at St. Anselm College in Manchester. He holds a B.A. in Business Administration from the Faculty of Sciences and Economics of Nouakchott, Mauritania, and a Master’s of Social Work from UNH, Durham. He is the Vice President of With Open Minds, a nonprofit that endeavors to inspire youth to become future leaders in a multicultural world by teaching ways to not only honor, but embrace each other’s diversity. Amadou is a 2014 graduate of Leadership NH and recipient of the following awards: 40 over 40 (2015, NHHC), Community Compact Partner (2013, SNHU & 2013, UNH), and Community Pioneer (2011, SAC). In addition to English, Amadou speaks four other languages, including: Fulani, French, Wolof, and Arabic. Amadou is married and has two children.